Winter for us, like many, is the time of year that things slow down. The days are shorter and colder, so it’s a great time for us and our dogs to rest up after a long season of performing. But for our young dogs, it’s also the time of year to work on skills for next year. We have been taking some classes, both in person and online, to keep ourselves on a schedule and learn from some other amazing dog professionals that are part of our community. 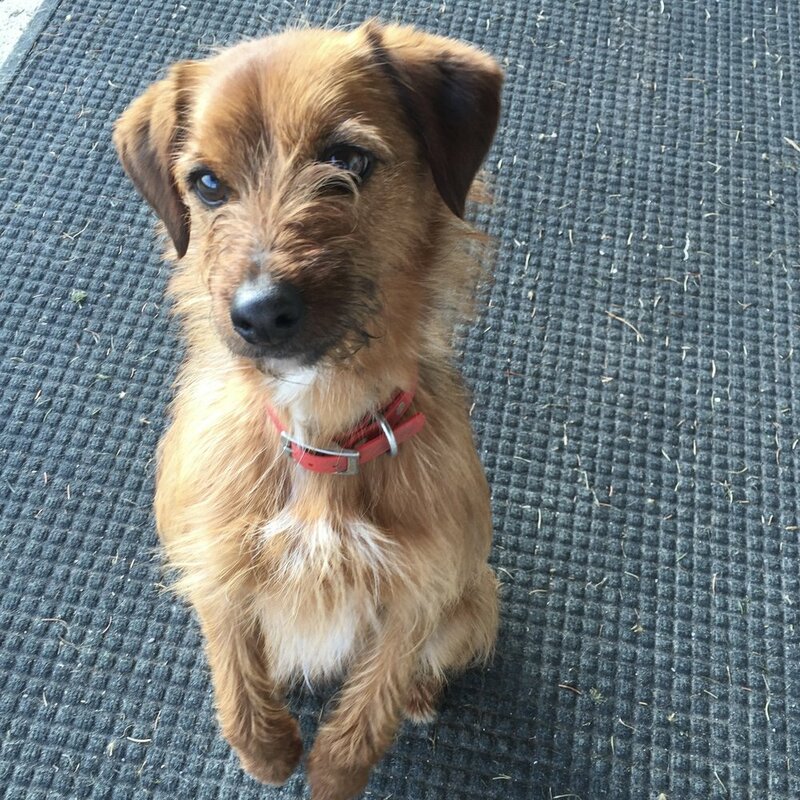 Kara and Nadja are both taking online classes with the Fenzi Dog Sports Academy. Nadja is taking the “Disc Dog – Freestyle Tricks” class with Cha-Cha-Cha (taught by Sara Brueske, who you saw performing with us if you saw our show at the Stevens County Fair in Minnesota). Kara is working on “Performance Fundamentals” with Mambo and Boom-Chicka-Boom. We love the Fenzi format. You can register for different levels of courses, depending on how much personal interaction you want from the Instructor and what sort of budget you have. The Performance Fundamentals class is a great place to start if you want to get involved in dog sports or trick training. 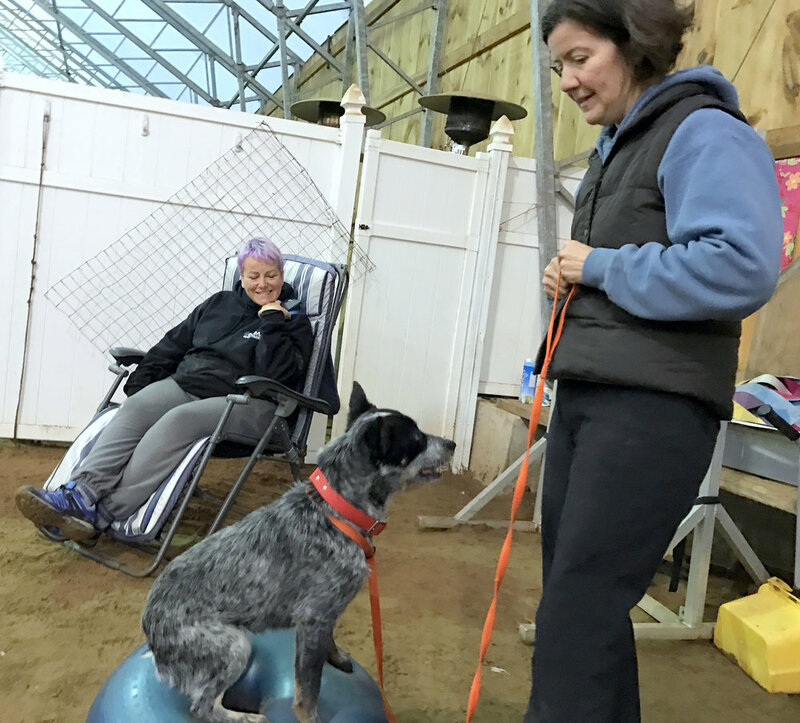 We took a “Foundations Stations” class with Monique Plinck at Criterion Agility – Kara with Boom, and Nadja with Cha-Cha-Cha. The purpose of this class is to prepare young dogs for a future in dog sports and performance by exposing them to, and getting them comfortable with, all kinds of odd things: walking on different surfaces, hearing different sounds, learning different skills, all in a fun, safe and rewarding environment. Monique is our go-to instructor for all things agility. She has performed with us since we started our shows in 2011. She has qualified for multiple world teams in agility with her dog Tiki, and her dog Tush just qualified for his first world team appearance this fall. We were so glad we got to take our young dogs to this class. We drove over 4 hours round-trip to spend an afternoon training with Monique and it was so worth it! We will be posting lots of training videos and pics of our young dogs in the coming weeks on our Facebook page, so be sure to follow our page if you haven’t already!